On June 16th, 1960 -fifty years ago today- moviegoers were treated to a new Alfred Hitchcock film that would change the idea of horror films forever. It was the release date for Psycho, the psychological thriller that introduced us to Norman Bates and The Bates Motel. The simple act of taking a shower become a frightening experience for those who saw the movie. Open Road Media selected this anniversary date to release an ebook version of the nonfiction masterpiece Alfred Hitchcock and the Making of Psycho by Stephen Rebello, which takes a deeper look at Hitchcock's masterpiece. Alfred Hitchcock and the Making of Psycho is a behind-the-scenes look inside the classic suspense shocker—and the creative genius who revolutionized filmmaking. Author Stephen Rebello explores the creation of one of Hollywood’s most iconic films, from the story of Wisconsin murderer Ed Gein, the real-life inspiration for the character of Norman Bates, to Hitchcock’s groundbreaking achievements in cinematography, sound, editing, and promotion. Filled with insights from the film’s stars, writers, and crewmembers, Alfred Hitchcock and the Making of Psycho is a riveting and definitive history of a signature Hitchcock cinematic masterpiece. The ebook (available now) covers every step of the story of Psycho, from the crime that inspired the novel and then the movie, financing, casting, filming, special effects, trivia, to the reception the public gave the film. Read about the many versions of the story Hitchcock rejected and the writers tweaked, the careful planning that allowed shooting to be completed in just a month, and the trademark suspense Hitchcock used to hype the unveiling of the finished product. Reprinted here with permission is the very first chapter, the story of murderer Ed Gein, which inspired novelist Robert Bloch to write the story that became the movie Psycho. No one can measure the shock waves unleashed by Ed Gein’s monstrous acts or the anguish he inflicted upon his victims or their survivorso In 1957, most Americans preferred to perceive themselves as God-fearing, clean-living men in gray flannel suits, or perfectly perfect Doris Day wives, or wholesome kids next door like Shirley Jones and Pat Boone in April Love. We elected a president named Eisenhower, twirled hula hoops, and watched “Ozzie and Harriet.” But in a town less than forty miles from Plainfield, at least one man stared hard into the bathroom mirror while shaving. He brooded over Gein, thought of himself, and shuddered. 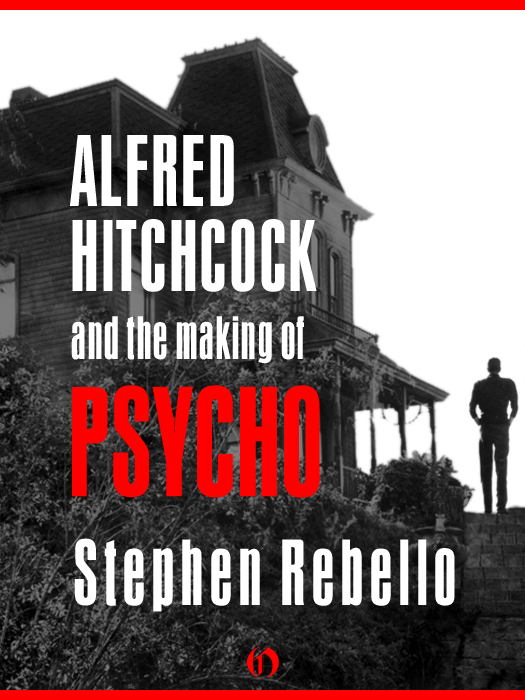 Alfred Hitchcock and the Making of Psycho by Stephen Rebello was first published in hardback in 1990. A film adaptation of the reference work is now in development, with Rebello as screenwriter. You can download and enjoy the new ebook version at a fraction of the original hardback price at the Sony Reader Store. Agreed. Didn't one of the reviews say reading the book is almost as good as seeing the Hitchcock movie? Masterpiece. Rebello wrote the definitive book. Everything that's come since is just following the leader. This is a great book. I read it for a college course but I've worn out my copy since. There's so much great information in it. i'd f*** me. i'd f*** me hard.